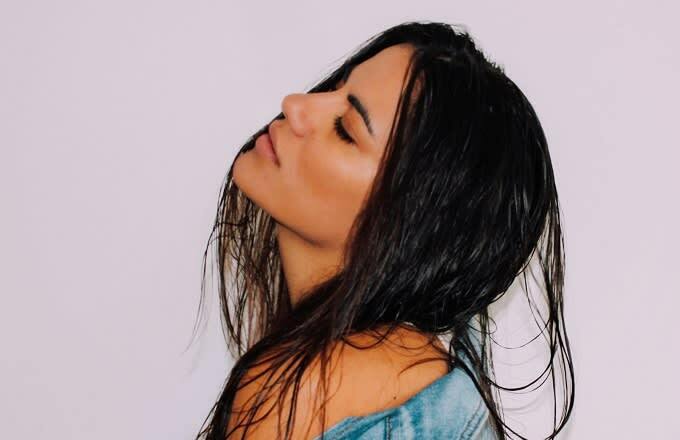 Premiere: Sofi De La Torre Delivers Some Sultry, Restrained Pop On "London x Paris"
Coming from a similar area of the pop spectrum as Grimes, Sofi de la Torre&apos;s smoky brand of (almost) electro-pop is as unified as music gets, each element on the track telling the same story as they interact with one another. On the face of it, "London x Paris" may appear filled with ennui but on closer inspection there&apos;s a sort of clipped heartache at the track&apos;s heart, as if de la Torre were hoarse from crying. But aside from the astute songwriting de la Torre also has a lot of fun with the execution and delivery. Neat production flourishes pepper the track throughout, creating a sense of distance between her and the listener, culminating in the warped, pitched-down vocals at the end of the track. This, of course, cleverly mirrors the idea of separation that de la Torre is singing about and is further testament to how visceral her songwriting is. It&apos;s not often you see production and songwriting working on that level, but if this is de la Torre&apos;s M.O., we&apos;re more than happy to hear more.